Knowing which horse is the perfect one for you can be tricky, unless you have researched all the different breeds so you have an idea of the differences between each one, and which one is the most suitable for your individual circumstances. 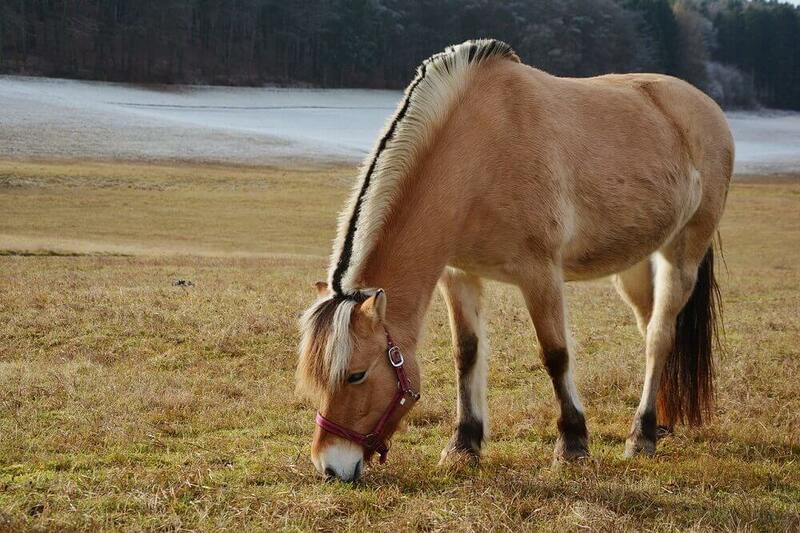 Let’s have a look at the comparison of a Haflinger vs Fjord horse. Haflingers were developed as a breed during the late 19th century, in a place called Hafling in the South Tyrol region of Italy, but the breed can trace its roots back to the Middle Ages. The foundation sire of the breed as we know it today, 249 Folie, was foaled in 1874, and all Haflingers today can trace their ancestry back to this stallion through one of seven bloodlines. World Wars 1 and 2 brought problems for the breed, as in the postwar era they were crossed with other types and the breed was in danger of becoming extinct. However, in 1946 a closed stud book was created and breeders focused on producing purebred Haflingers. Over 250,000 Haflingers now exist worldwide, with most of the breeding stock coming from Austria. The Fjord, as you may have guessed by the name, originated in western Norway. It is one of the world’s oldest and most pure breeds, as horses were known to be around in Norway at the end of the last ice age! Excavations at a Viking burial site show that the Fjord has been selectively bred for at least 2,000 years, and it is believed that the ancestors of the Fjords today migrated to Norway and were domesticated at least 4,000 years ago. The Fjord breed is one of the few that has a history of pure breeding without interbreeding from other sources. At the end of WW2, Haflingers stood at an average of 13.3 hands. Nowadays, the desired height is between 13.2 and 15 hands, though taller individuals can slip through the net if they meet all the other breed requirements. Any smaller than 13.3 hands is discouraged. Fjord horses have no upper or lower limits set on the heights allowed for the breed, but between 13.1 hands and 14.3 hands is recommended. Interestingly, despite that fact that this is a relatively small size, the Fjords are always considered horses, not ponies. This only adds to the sense of national pride that surrounds this breed! Haflingers are always chestnut, but with a range of colors from light gold to dark chestnut and even liver. The mane and tail are flaxen or white, which makes the chestnut stand out even more. Any other markings are discouraged, and would probably mean it’s not a true Haflinger. Fjords are a very distinctive breed in terms of color. All are shades of dun (tan or gold shades with darker points). There are five shades of dun recognised by the breed standard: brown dun, red dun, gray, white dun, and yellow dun – but it’s hard to tell the difference between these unless they are standing next to each other! 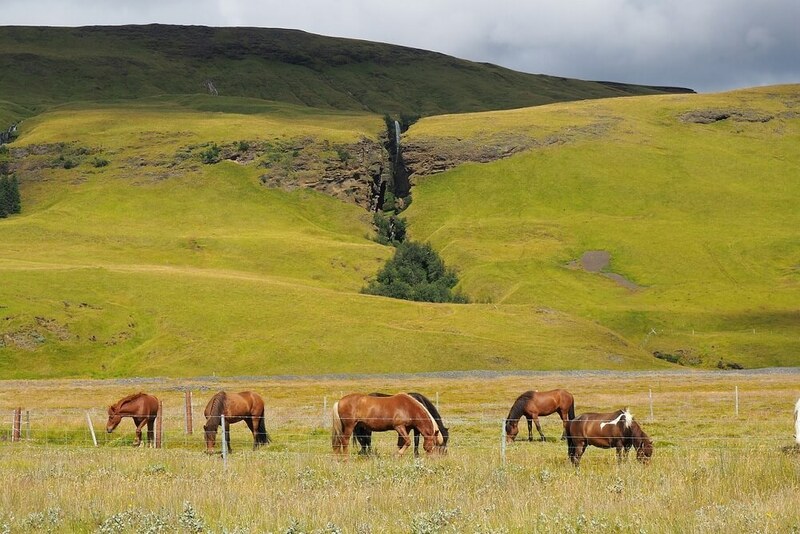 Fjords also have what is known as “primitive markings” which include a dorsal stripe, a darker mane and tail, and horizontal stripes on the back of the legs. Some also have stripes across the withers and small brown spots on the body or face. Fjord manes, because of the striking difference between the dark hairs from the dorsal stripe and the white outer hairs of the mane, are usually hogged to show this off. Haflinger conformation is defined by a refined head, with sloping shoulders and a deep chest. The breed has a medium to long muscular back, and a sloping, well muscled croup. Clean legs with broad, flat knees and hocks that show the definition of tendons and ligaments is another characteristic of the breed. The Fjord looks like a miniature draft horse, with great muscle and bone. It has a strong arched neck, a compact muscled body and sturdy legs with good feet. A medium sized, well defined head with a broad flat forehead and small ears is another sign of the breed. The face may be flat or slightly dished, and the ears are small while the eyes are large. Haflingers have rhythmic, comfortable gaits which cover lots of ground. The walk is energetic but relaxed, while the trot is energetic and athletic. The canter has a distinctive “forwards and upwards” motion, and they are known to be light on the forehand and well balanced. The Fjord is a strong horse, with rhythmic paces and sure feet. Walk trot and canter should be well balanced and straight, despite the fact the Fjords tend to overreach (where the hind foot oversteps the front foot print) at walk and trot. A quiet, kind temperament has become part of the official breed standards of the Haflinger, and this is even checked during official inspections. Fjords have a reputation for being good natured, and are excellent for use in a riding school with young children. Originally, Haflingers were bred to be able to be used for a multitude of disciplines in the saddle, but also be strong enough for draft and driving work. In its native country, the Haflinger was used as a packhorse, and this use continues today – though they are more generally used for pleasure rides, and are very popular as dressage horses for children. There are two types of Halfinger recognised; a shorter, heavier type which is used for draft work and a taller, lighter type used for pleasure riding, competing and light driving work. Haflingers are also used for meat in Italy, and milk in Germany. Who knew! 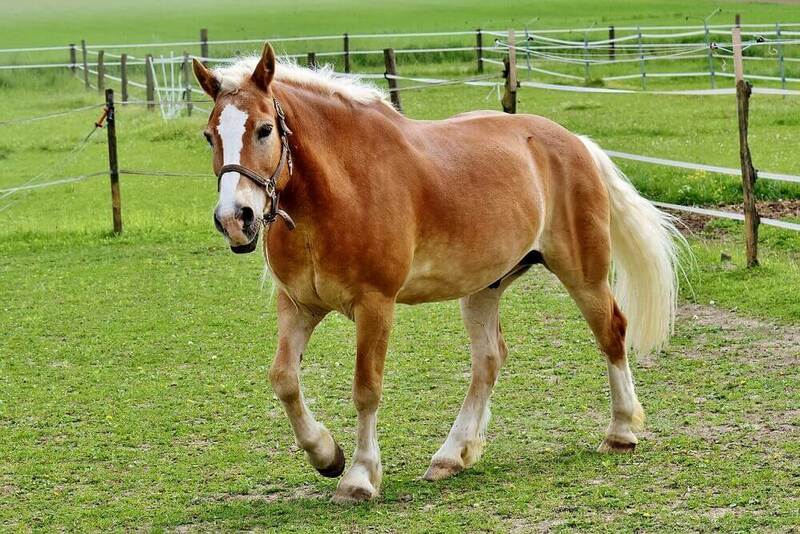 First used as a farm horse in its native Norway, the Fjord is incredibly strong and is capable of carrying fully grown adults, despite its small stature, and also of heavy farm work. They are renowned for being sure footed in mountainous regions too. Fjords these days are mainly used for driving and pleasure riding, and their gentle temperament makes them ideal for riding schools and therapeutic riding.